As you discuss cowboys and horses with your class, talk about the rodeo with competitions like calf-roping and steer wrestling that happens at these events. Then gather some art materials to partake in these crafts. As the children enjoy making these projects they will also lure them into dramatic play of the Wild West. Cowboys or sometimes called “cowpokes” at the rodeo dress in western wear or at least a hat and bandanna. Discuss the purpose of large-brimmed hats (weather protection), bandanna (dust protection), and vests (warmth). Then bring out some supplies to make artistic replicas. To make a tie-dye bandanna, give each child a 16-inch square of fabric. Old white sheets cut into squares work well. Show the children how to fold and tie the fabric into sections with rubber bands. Use a non-toxic fabric dye and dip the bandanas into the dye following the package directions. When dry, open the fabric and iron flat. Ask the children, “Why does the dye go on some places and not others?” Show them how to wear the bandanna loosely around their neck. Almost every cowboy wears a hat. Cut a sheet of construction paper into a hat shape. Purchase or make your own sponge stampers in the shape of a cowboy hat. Make a hat stamp for each color you want to use. Invite the children to create hat prints patterns on the paper. Staple this hat shape onto a sturdy paper headband that fits around the child’s head. A simple cowpoke vest can be made from brown grocery bags. Cut the bags open and make armholes. Challenge the children to decorate these vests using crayons and markers. The children will truly enjoy wearing their vests, hats, and bandannas to get into the spirit of the wild west and rodeo events. Invite the children to make a picture with cows (used in rodeos) waiting in the corral or pen. You can precut cow shapes in various colors of construction paper or have the children draw their own cows on a sheet of white construction paper. Cow colors are usually brown, reddish, black, or even spotted in black and white. The cow shapes can be cut with safety scissors and glued onto a background sheet of construction paper. Use a piece of twine to encircle the cows on the paper like a corral. Glue this down on the paper. Ask the children to talk about their cattle and tell you how many cows they have in their corral. Cowpokes depend on their horses during the rodeo to help them with stunts and chores. Here are a few horse crafts. Horse Sculpture – Make a standing horse by drawing and cutting out a horse shape from poster board. Invite the children to paint their horse the color of their choice. Provide them with two spring-type clothespins to paint the same color as the horse. When all the materials are dry, have the children clip the clothespins onto the horse shape for legs. This will allow the horse to stand up on the table. Horseshoe Prints – Horseshoe stamps can be found in craft stores or you can make them by cutting out sponges into this U-shape. Give the children a sheet of construction paper and allow them to stamp horseshoe shapes randomly across the page. Provide a shallow container of tempera paint and encourage the children to dip and stamp prints as if the horses were galloping or trotting across the page. Horse Tail Painting – Take a short length of rope and unravel the one end to make a horse-tail paintbrush. Encourage the children to dip this frayed end into tempera paint and drag it across the paper. 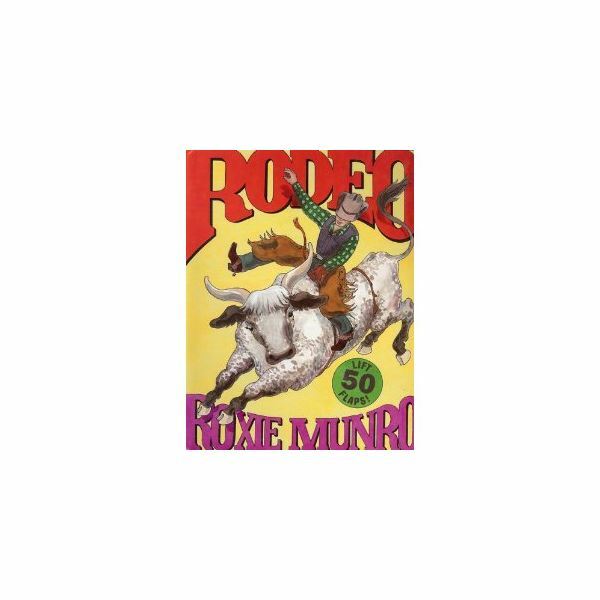 This is a unique painting tool to use during your rodeo theme. These are only a few of the fun crafts you can do during your rodeo theme. Think about all the events and people you will see at a rodeo event to build the activities you do in the classroom. Cowboys do plenty of roping or lasso skills, there are barrels, bulls, and even rodeo clowns. This Wild West theme may become a favorite in your classroom!